Imagine getting married your own private beach complete with luxurious accommodation and a private marina, all without breaking the bank? Jasmine Sky has designed beach wedding dresses for so many brides who struggle to find the perfect venue and we wanted to help. So! 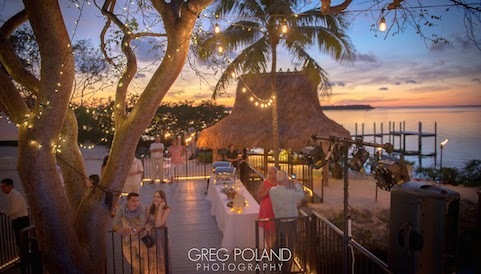 We spoke to Mariana McGraw and the team at the Key Largo Lighthouse Beach about their fully private beach wedding venue. 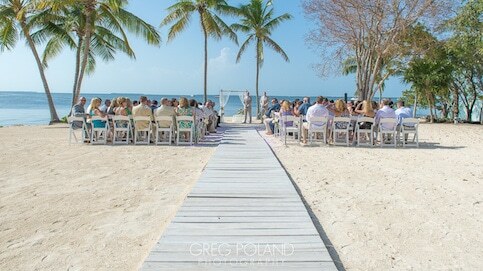 While other beach wedding venues may only offer you an afternoon of privacy, Key Largo gives you so much more. 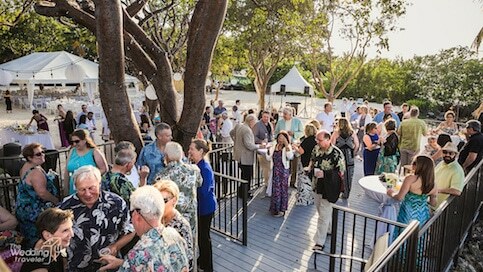 “You can create your own special all-weekend wedding at this spectacular and private venue for about the same cost as an afternoon wedding at a hotel,” says Mariana. Mariana stresses the family element that the Key Largo Lighthouse offers. 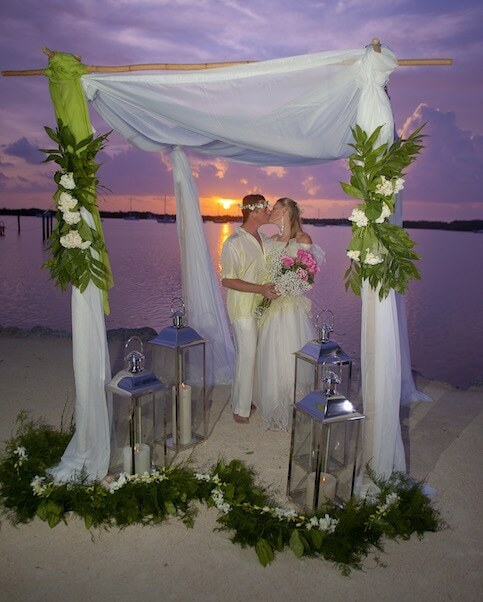 “Many people travel long distances to be here for your wedding. 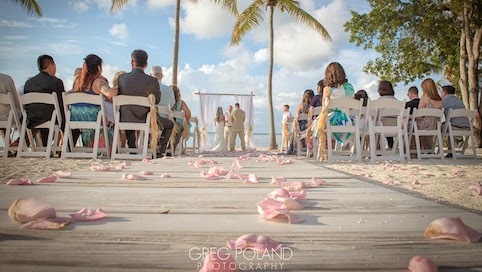 With a private beach wedding venue like Key Largo Lighthouse, you are offering something in return. You can rent this entire private estate with its own beach house where your bridal party or parents can stay with you. 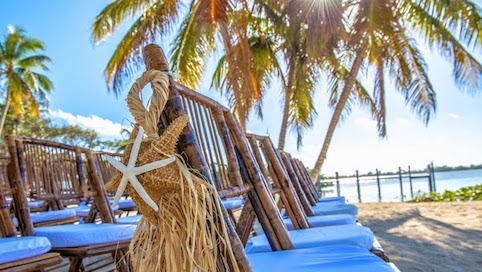 You’ll enjoy private accommodations, manicured grounds, a private marina and palm trees fanned by the gentle trade winds situated directly on the pristine Florida Keys water. 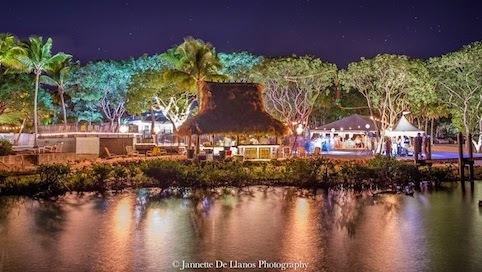 To keep your guests entertained, they can dive and swim nearby as Key Largo is home to the last living coral reef in North America. Private parking sufficient for cars and buses for any size event. 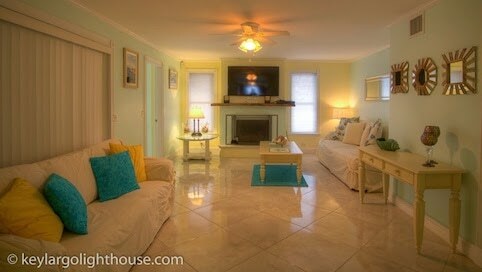 Remodelled and redecorated 4 bedroom 5 bathroom beach house with pool. Special rates at hotels in all price ranges very nearby. 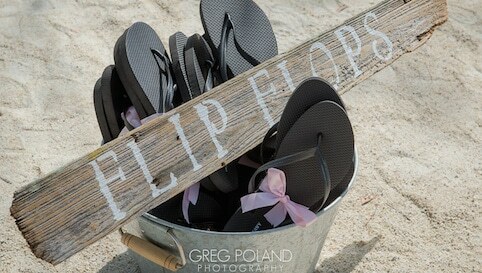 Mariana and her team can help you as little or as much as you need, she says “you can plan your own wedding. Or we can create a total wedding package that matches your style and your budget.” If you prefer to plan everything yourself, you can! 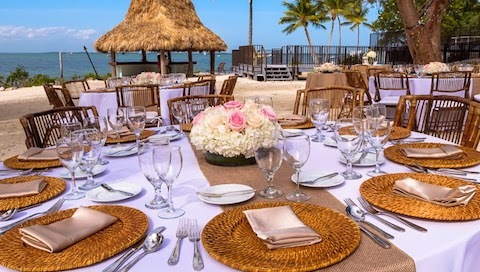 Their wedding styling and planning rates are extremely competitive though, and by purchasing an entire wedding package, the stress of wedding planning is eliminated. For one all inclusive price you rent the entire property for a long weekend. Or rent midweek at an even more affordable rate. 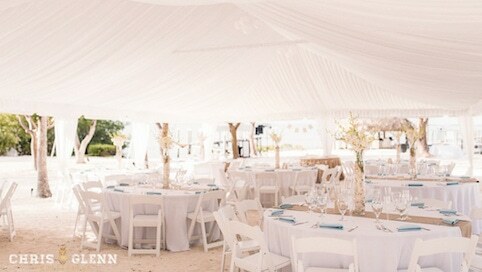 You will host your 20-400 person medium to high budget wedding with as much or as little help as you desire. There are no add-ons, you pay by the wedding, usually for the period Thursday to Monday. Mariana is proud to say she determines the cost which doesn’t change – unlike many wedding planners who change their estimate after the deposit has been paid! On-site tents in case of rain. Appropriate outside air conditioned bathroom capacity. Mariana McGraw and her team are true wedding experts with a truly private venue with everything from beautiful white marquees to stunning accommodation and the most exclusive and beautiful surrounds. 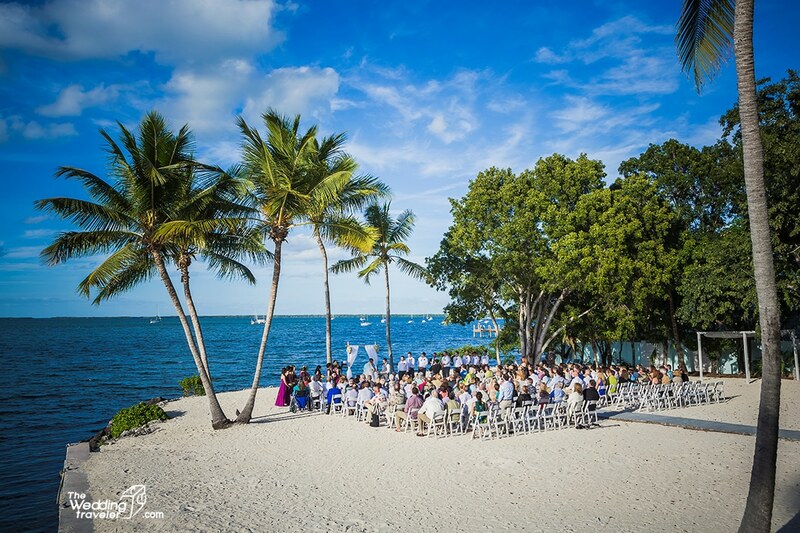 The Key Largo Lighthouse is truly an all-inclusive beach, private yet affordable beach wedding venue for your dream beach wedding. Find their details on their website now!